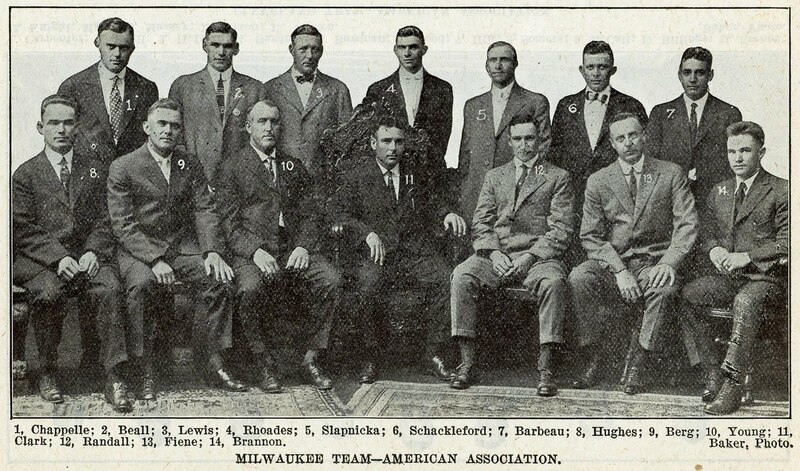 These snazzy gentlemen are your 1915 Milwaukee Brewers, reigning back-to-back American Association champions. 1, Chappelle; 2, Beall; 3, Lewis; 4, Rhodes; 5, Slapnicka; 6, Schackleford; 7, Barbeau; 8, Hughes; 9, Berg; 10, Young; 11, Clark; 12, Randall; 13 Fiene; 14 Brannon. This photo comes from the 1916 edition of Spalding's Base Ball Guide. 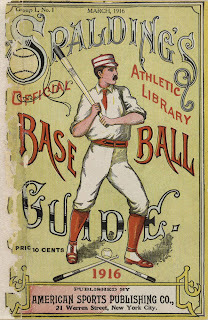 Published by the sporting goods company of the same name, the Spalding guide includes team photos from the American and National Leagues as well as the larger minor leagues such as the Association. Spalding published guides to baseball, football, basketball, ice hockey, field hockey, soccer and many others. 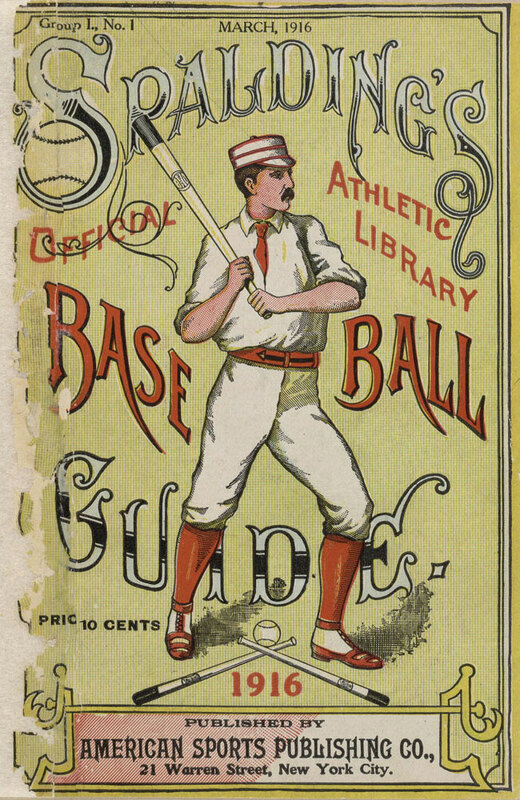 The baseball guide was published every March from 1878 through 1939, and was as invaluable to fans of the era as to researchers today. There are many players of importance in this photo, from part-time vaudevillian Cy Slapnicka, who won 25 games for the Brewers in 1913 on the way to the team's first pennant, to Newt Randall, in his ninth and final season with the Brews. I particularly love third baseman/manager Harry "Pep" Clark, posing on an elaborate chair.